Is Collecting Killing the Toy Industry Or is it Video Games? The other day I posed a question on an internet forum I frequent. The question was simple: Is collecting hurting the toy industry? I think it is a valid question. Here is my thought process: I frequent toy aisles, I'm a collector it's what we do. In the last few years how ever I am seeing fewer and fewer kids in these aisles, and more and more collectors (meaning people around my age). Now for me I think of the toy industry as an industry that exists because of kids. The industry companies report that only 20 - 30% of their market is collectors. They even use kids as excuses. Recently there was a 4 inch green lantern movie line (go to any big box stores they have tons of these because no one bought them) that is one of the worst toy lines I have ever seen. Little articulation and almost no playability. When asked about it Mattel answered with "It's not geared at collectors its a children's line" with a line of thinking that children don't want quality toys. All of that said if you go down the toy aisles you see lots and lots of toys that are obviously aimed at collectors, with special multi-packs , 6 inch figures, and prices that are way out of reach for children to acquire. And of course children can't get to the stores like adults can, adults can frequent stores whenever they are able, so by the time kids get there all of the good stuff that they want are gone. Not to mention the crappy limited packs of figures in boxes. I will say that this post is mostly about boys toys, for the most part girls toys are thriving now, with more aisles than they have had for sometime, and I might say some of the best girls toys to come out for a while. What does this say about the trends of the industry? Now when brought up on the forum there were some good responses, the most common being "It's not collectors it's video games" which is a valid point. I have a few nephews and they really could care less about toys, and would much rather play with a video game, some of them come equipped with a DS wherever they go. Toys are unimportant to them because they like the fictional world that is created for them on the screen. So are video games imagination killers? I'm not going to be so bold as to say that, but I will say this: the toys that I grew up with were very good at being story toys. they were evocative in design and concept, they worked toward telling a story . I enjoyed . . . and lets face it. . . still enjoy delving into a world of fiction with my toys. Don't get me wrong, As a kid and now, I enjoy a good video game. The selection around my house is not as impressive as it once was, but I enjoy it from time to time. Now of course this could come down to a a lot more than what I mentioned here. Parrenting styles (not a criticism just noting that there is an option here), As I mentioned before selection in the toy aisles, and of course the obsession with electronics in today's society. Some of this comes from advertising, or the lack of it. A few days ago I posted about Masters of the Universe toy commercials from the 80s, these used to be the norm, now they are few and far between. On the other hand Video Game commercials are every where. So lots to think about, but what do you think? Why do you think the toy aisles are becoming emptier? 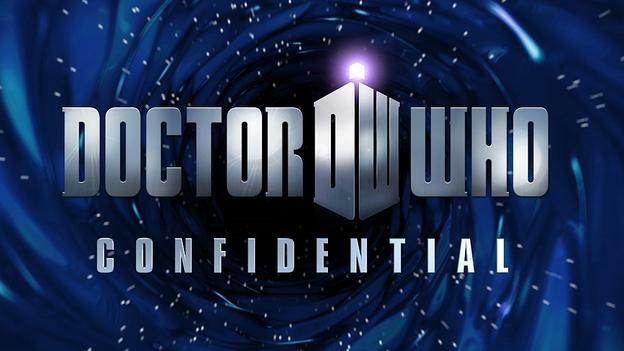 Doctor Who Confidential has been canceled. the official reason is sited as financial issues, using it as a cost cutting option. In my opinion this should have happened a long time ago . . . At least in terms of what it currently is. I have been with Doctor who for a long time, and the behind the scenes stuff has always my favorite bits, but I haven't watched confidential since season 2. It just hasn't appealed to me, mainly because by the time it is on the screen I have already consumed this information. Though they are very good at keeping spoilers out of the public and off of the internet, a lot of the information that confidential reports are things that come out in interviews and set pics leading up to the particular episode. They have always made much better DVD extras. Here is my suggestion. Make it a web series. The format would work on the web, actually it would work very well. You could do less video and make it a weekly feature. It could contain written information with video put in to support the text. With this format you could spread out the release of information across the week that the episode airs. Revealing bits and piece, interviews with actors and producers, etc. . . It would be two fold, informative for those of us who like behind the scenes stuff, but also it could act as publicity material. These are just my thoughts what do you guys think? As just about any reader knows I like Doctor Who. I can’t remember not liking Doctor Who. 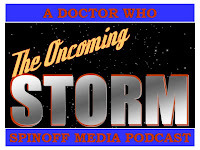 I’ve been thinking a lot about why we like things that we like, and Doctor Who Seemed like a good starting point. Thinking about the things I like. . . the major things that I like . . . they all stem from childhood. Nostalgia plays a huge part. I find that I am constantly striving to pull on thread that runs from childhood through to adulthood. I surround myself with parts of my childhood, probably in an attempt to not loose said childhood. Of course, all of this “climbing a thread from my childhood” ends in a lot of clutter, and extra stuff. Collections I can’t let go of, and buying up parts of my childhood that I want to preserve. The line of logic usually goes back to “But I want my kids to have them when/if I ever have kids” When In the back of my mind I know I would never let my kids play with them. Now, Fandom has also been an interesting journey for me. The earliest form of any sort of organized fandom for me involved me asking my dad questions about Doctor Who. Of course, this quickly switched to my dad asking me questions about Doctor Who. My dad of course is probably the reason I am the person I am with fandom. Now, he is by no means a super fan. But he is also more than a casual viewer. Some of my earliest memories are of being with my dad and watching doctor who, or playing with toys, or looking at books about things that I still like. He encouraged the love that I have for these things. So in a way, even though I am lucky enough to still have my father, these childhood franchises that I hang on to is not only a connection to my childhood, but it is also a connection to my father. In one way it’s a point of reference that I can communicate to him about, and on another level it is a part of me that I know I will always share with my dad. Somewhere in the back of my mind, I can feel my dad when I watch Doctor Who, or pick up a Masters of the Universe figure, and I hope to always have that! So, My purpose for fandom is nostalgia and also the memories it conjures for my Dad. I think it is probably more complicated than that, but those are the reasons I feel it is important for me. Why is fandom important to you? why are the franchises that you follow important to you. Why does it just make sense to be a fan? Exploring Masters of the Universe Toy Commercials! I love toy commercials from the 80s. I find myself trolling youtube looking for these commercials. Of course my favorite are the Masters of the Universe commercials, of course as a kid that was my favorite, so it makes sense that I would still be drawn to it. The commercials grew over the years, but they told a story. The story was usually an encounter played out by kids, of one of the bad guys trying to get castle grayskull, but sometimes it would be Skeletor running from the horde. It always ended on a cliff hanger with the idea that the ending was up to the kids watching. That they should tell the story they way they wanted to. I loved this encouragement for telling stories. Back then I felt like ti was important to tell a story with my toys. and these commercials . . . even though they were trying to sell me something it they were entertaining and to some point educational in that it got me wanting to tell a story the way the kids were on the commercial. I am going to post a few commercials that I like a lot. The first one is a very rare early masters commercial that was only aired once or twice in the US. so this is a rough video. And of course the first mainstream commercial. Snake mountain . . . Is waiting if you dare! And of course there were commercials made in other countries, here is one from Germany. My only question is, why did they put Stratos in the flying vehicle ? And finally, this is not a commercial but it is a video of a traveling toy display from the mid 80s. So tell me, what are your favorite toy commercials? What do you remember about those vintage 80s toy commercials. We all have the power! Its Not for you! - a look at rebooting your childhood. Overstreet: The Geeky Secret of My Hometown! The League: Top 10 Favorite Movies! The Leugue Week 5: My Hollywood Blockbuster! swladiesdaily: I promise I won’t hurt you. Now come here. NEW PRINT: GiJoe Vs. Cobra Boat Race!